I think we have all heard that saying in some form or another in our lives. The thing is over the years Ive realised that it is just not true! In fact, mean words can hurt us more and for longer than if someone had physically harmed us. How many times do we say something to someone and then follow it with ” Im only joking”. It doesnt feel like a joke to whoever we say it to.Just one sentance can change a persons life forever. i know a girl well that was told she was fat as a teenager and years of anorexia and bullimia followed. Im sure the person that said it to her never even gave it another thought after saying it and yet if affected the girls life for years. Just this week I have heard some awful things that have been said to an Autistic boy whilst we were on holiday. It shocked me more that the parents of the group of children (yes there were 5 children calling this boy names) did nothing. Do they not think this young man has feelings? It hurt me so much that I had to say something. Of course I would have said something if the boy had Autism or not but having children with Autism it really hit home. Words we say to children can have such a huge impact on them. In our house we have banned words like “stupid” “dumb” “thick” and anything along those lines. I am so careful what I say to my kiddies espeially if im cross, words a parent might say to a child can scar them and make them feel worthless. There is no way to take back a word once its said. I have been guilty to say things before i think and give my opinion far too quickly so Im really really trying to think everything through before i say it. I think whether what im about to say is actually really needed or helpful or whether it is better to just be kept to myself! i have also found this fantastic group which Im sure a lot will already know about called “Operation Beautiful”. Basically you write encouraging words on sticky notes and put it for people to see. So a toilet door, inside a library book, a bus seat…you get the point. What a nice way to cheer up someone who might be having a bad day. and wouldnt life be so much nicer for everyone if we just stopped using cruel words as if they were our fists. I have found it really hard since my youngest started school. Of course when my other 3 lovelies started school it was hard as well. Lititia was my first at school and it had been a rollercoaster 4 years! If I spoke about it all and the stuff we went through in the younger years, Im not sure if people who know us now but didn’t then would even believe it. She saved my life and put me on a good path however. Jessie was too tiny to go to school!! Now she is a tall 11 year old but then she was tiny and went to school in what I call a baby car seat. I would have been more worried if she wasn’t going to a specialised school as she had no communication amongst lots of other things. Charlie and I had spent every day together, all day. And we didn’t know many people so we had great fun by ourselves. We had real conversations and Charlie hated pre school so we were happy with our days together and didn’t feel like we needed anyone whilst the girls were at school. But with Jayden going, its the end of a huge chunk of my life! I have no children with me all day and nearly a year later Im still not getting used to it! I have stuff to fill my days so its not that Im bored (although im sure a lot of people think I just watch tv all day!! ) I hate it because I miss them and I don’t feel like me anymore! I have also been thinking about a lot of major things. I am not sure if we need to move so I can make friends and find a job I love. Don’t get me wrong there are many people here who are kind and friendly and I have made some great friendships but everyone has their own lives and now I don’t have a little one I see less people with children as I don’t have anyone to bring to play! I guess its just natural that those friendships will become less, I think we are sent some people at certain times in our lives at the times when we need them. And there have been some good changes for me. I started going to church and whilst I love the people and learning, the most important change has been in myself because of it. I am trying to be a better person. I am trying to think before I give my opinions and really think if what I am saying is helpful and productive. I have made friends with people who I never had the chance to get to know before mainly as their children are grown so we never really crossed paths that much. And I get to help out with reading and various at the school which I absolutely love and never had the chance to before. But now I found that I don’t really know much about myself at all!!! I don’t know what kind of job I would have done if I hadn’t have had children. I have no idea really what Im good at or what interests me!! I am not sure if I feel like this because I am getting close to 40 and my child bearing days are nearly over, whether its where we live, whether its because I didn’t have a career before having children and I don’t have any idea at all what job I would love to do although working at the school interests me but that could be because I can do it whenever it suits me 🙂 Or whether its because I try and be happy at home as it worries my children if I am anxious in any way so this is my place to be a drama queen! 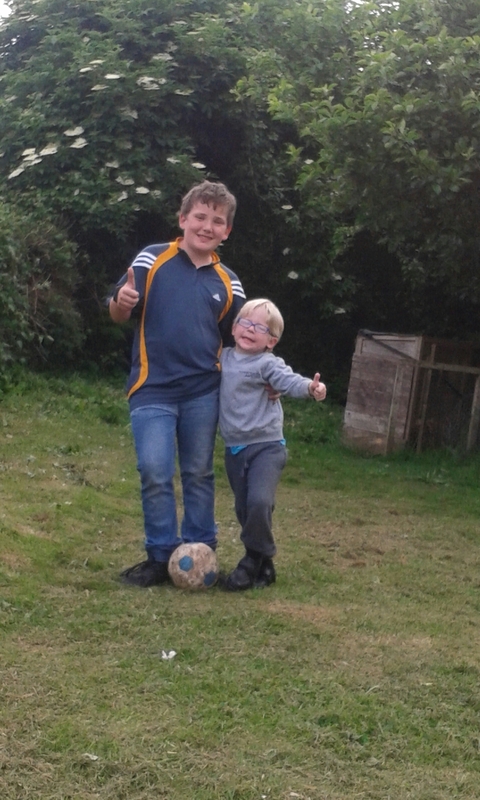 🙂 Whatever it is though I feel very proud of the independence of my children and especially how far jayden has become less clingy this year, but I also feel quite redundant and quite lonely which is odd in itself as I actually really enjoy my own company. It feels like the last few months have happened in just a few days they have gone so fast! I feel out of breath sometimes just trying to keep up and I want it to all slow down before the kids have left home and I’m sat staring at empty rooms. So, before I make myself more miserable an update of what we have been doing! As is quite usual for us we have had a trip to the aquarium 🙂 We just love that place and tend to go most holidays as its something all the children enjoy, that can be quite hard with 4 children of varying ages and interests! Luckily we do enjoy each others company so can generally compromise as we like to be together. We stayed with my parents which again we all love to do! When we are there we do stuff that we don’t have where we live like going to the park and swimming pool. Its nice to just walk for a few minutes and be able to play on the swings! The kids love the swimming pool too (Im not fond of it if im honest as I am really not a water person! but I am happy when they are having fun) and Charlie has learnt to swim which Im so proud of! And Jayden isn’t frightened of letting go of me in the pool anymore! The girls have always been great swimmers as their school taught them a few times a week from an early age. Most importantly though, we love the evenings where we sit with my parents and just chat and laugh. We don’t see them enough and I miss them a lot when we leave. I have been to a lot of appointments it seems and had a tear in my eye at Lititias statement review when she said one of the most important things to her was spending time with her family and Charlie said to the Educational Psychologist that if he ever had a worry he can always come and tell me. These things mean so much to me. Jessie has been on some visits to her secondary school and is practicing for her leavers assembly! She is a little sad as she “only” has a few lines but I am so proud of her especially considering that when she first joined the school she couldn’t even sit in assembly as it was too much for her and now she wants to be a lead role in the play! How far she has come! As the weather has been so nice, we have been spending a lot of evenings on the beach. There is always something fun to do and Im always amazed and enjoy the games that the kids make up to play whilst we are there. Its a great place to go if we need to just get out of the house or if tempers are starting to get a little short! Of course we have been doing our usual Church stuff. 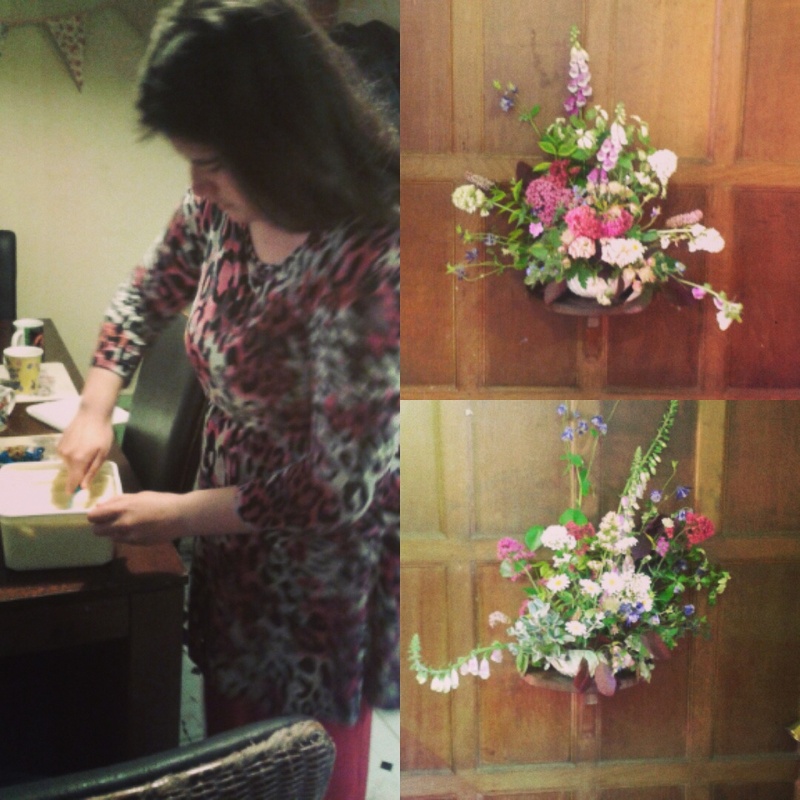 Sunday services, Lititia did the Altar flowers and now helps set up before church and after and Charlie did his first Bell ringing wedding! Their confidence is growing being a part of something where they feel like they belong. Jayden said he would like to be a Vicar! I think at the moment his talks would involve a lot of dinosaurs and Captain Jake but a good choice nonethe less! And as I write this tonight I am on yet another course of steroids and antibiotics for my chest but that’s ok. I may not be able to breathe so well sometimes but my kids are what gives me life and that’s all I need. I wash bedding every day. I wont go into detail as to why but SN parents will know what im talking about. I clear up any mess that may have happened during the night as a result of a meltdown. Talking of during the night, I will probably have not been able to get to bed until about 2 because my lovelies find it hard to sleep and then after getting up during the night numerous times sometimes I will be up at about 5. I also put everything back in the house how it should be as anything not in the right place could cause huge problems if a child is having a particularly bad day anyway. I often have a number of appointments, sometimes 30 miles away and I don’t drive! I have to check up on IEPs and make sure they are being carried out. I have reviews that last for hours, appointments about behaviour, speech, and now Jessie is getting ready to move to the next school, appointments and visits on how to make this easier and reminders to the school that we need to be doing this or emails or phonecalls to remind of things they will need to know or things that I need to know. I have care plans and Statements and Targets and “All about me” books to think about at home and then attend the meeting about. I search online for clothes that wont irritate, have low collars, high collars, itchy material, tight armpits, irritable tags, just the right waist….they would much rather be naked which is also something we deal with! And don’t even get me started on finding the right pair of shoes! If we are lucky, I stock up for fear they may discontinue the item!! I make sure we have food in stock that they may actually all eat! And think of ways I may be able to brush hair without starting a small war! I then think of new ways to help with their reading, spellings and homework. My son in particular finds it very hard to sit and do these. He is not being difficult, he just finds it difficult to do it in the regular way so I search for ideas to hold his attention. I also look for and read books or online articles about things that could make our lives easier or tips from other parents on how to cope and manage particular things we are going through at that time. I often have numerous paperwork to fill out for applying for different things or to get ready to see a new specialist for example. I have to do this in the day as I would have little hands “helping” to write on the paper or children needing attention at that very moment. There are more things I could add but Im sure its getting boring already! This isn’t a great piece of writing and probably not well put but its 1.36 am and it looks like another night that will result in me having company. I do also spend my days thinking how much joy my children bring me and how far we have come. Id like to tell parents of younger children how it does get easier or we get more used to it ( and I think that will be my next blog). For around 10 years now I have not made a fuss of my birthday. As we get older I guess we don’t anyway but the reason mainly for me is because my girls really don’t like the change of routine and the excitement. Of course its different when it comes to the childrens birthdays as it just wouldn’t be fair in anyway to stop the boys missing out on what is a huge celebration of their lives especially when they have to live with some pretty difficult days and situations. Like not having people in the house because it makes Jessie extremely anxious. Anyway back to the point! As well as wonderful gifts such as plants, clothes, pens and lots of stuff that I loved, I received a plant from Charlie and a frozen sticker set from Jayden! My boys always love to give me things and I treasure them. Just as I was hugging them and thinking I must get on with making tea, (sadly birthday or not, these children apparently still need to be fed!!) Jessie brought me over a carrier bag with a cuddly toy in that I commented on when we went to the toy shop and Lititia handed me a card that she had bought with her own money and written in it herself. I was so overwhelmed and happy that I would have cried if it wouldn’t have frightened them. You see I have never received a birthday gift from Jessie or a card from Lititia that they had gotten of their own accord. Its not that they aren’t thoughtful and loving, they just don’t think the same as many and im proud of their uniqueness of course. But this birthday will be treasured. So, if there are any parents of Special Needs children who may be going through a hard time and wondering if it will ever get better, it will. Slowly, and with a lot of love and patience you will loo back one day and realise just how far you have come. And that isn’t the end of my day! My wonderful children also made me tea!!! A real childrens party tea which of course had all the things they love and enough sweet stuff to fuel an army of bees and I of course was left with the washing up..but its the small things that are most important right? I was talking to a lady today who is the parent of a wonderful son who is funny and happy and loves dinosaurs (just like my youngest). My heart aches for her though as her son has Autism like my girls, but she can only focus on the bad and that is all she talks about. I wish I could help her see positive and she said to me today that my children are obviously not as Autistic as her son because we do lots of things and I am a pretty positive person. I learnt over time though that if im not at least seeming positive the whole family feed off of the negativity and thats chaos!! I do hear a lot though from different people that their child is more Special needs because they have a chair or cant use the toilet or…well you get the picture. I tend to stay away from forums just because of it now. I am lucky as we dont face many of the problems we used to. My girls are able to use the toilet and they can walk and im so grateful for the blessings. But it has been hard work and persistance. And my eldest is 16 next year so we have had many years to learn together. We still face a lot. Puberty and the fact they often refuse the sanitary items, today Jessie was home from school as I could see she was ill but they dont feel pain or illness, the sensory problems we still deal with, the fact I can never socialise in the evenings…I could go on and on but I like to say we can eat together now that ive learnt what everyone likes, I can see problems that may cause anxiety so can help, we visit lots of places but I research them so we plan before we go with lots of visual and life really is pretty much liveable these days! We have a great community and church which helps but we do ok.
And it isnt a competition to see who suffers the most, everyone has hardships. I just wish I could help people who feel so much despair because believe me, I’ve been there. And we need to stick together and help each other. It can be lonely enoigh without beingvin competition. Its been a great few weeks and als0 hard to believe that the kiddies have been back to school for a few weeks already …and that they only have a few weeks before the Easter holidays!!! All the children seem to be really enjoying school at the moment and doing well too. its really hitting me that Jessie will be going to secondary school in September and every event that happens Im aware that it will be her last…..and it makes me ever so slightly emotional every time!!! and I have the pleasure of having to go through exactly the same next year when Charlie is in his last year! Lititia will also next year be making the choice as to whether to stay at her Special needs school or go to college. Speaking of Lititia, she did a reading in church a few weeks ago. I was so proud as it wasn’t that long ago that there wouldn’t have been any way that she would have been able to handle that sort of pressure. She is growing up so fast. Im also having an interesting time reading more each day with Charlie about the bible and I would love a bible journal but have no idea which one to choose! Im enjoying going to church which is something I would have never thought I would be doing a year ago. im not sure why I am taking a different path now but I love feeling part of something and have made some lovely friends at church! And they are very accepting of the children…that’s always a factor for me wherever we go. Im also so proud of how the children behave in church, even Jayden who is 5 is fantastic. And then last weekend was Mothers day and it was my best because both girls were really kind to me all day and helped me. Usually they don’t like the day as its a change and they don’t like the fuss so can be a little rude or “play up”. After living with Autism for nearly 15 years it doesn’t bother me as I know they cant help it. This year they both made me cards and presents and were just great! my boys were lovely too of course and also both made me lovely cards..it was Jaydens first made card and he was so proud and Charlie made me loads of lovely things. I guess there isn’t a subject, point or anything of great interest in this post apart from to say how lucky I am to have children who are priceless! There are lots of times when I really just want to freeze time! 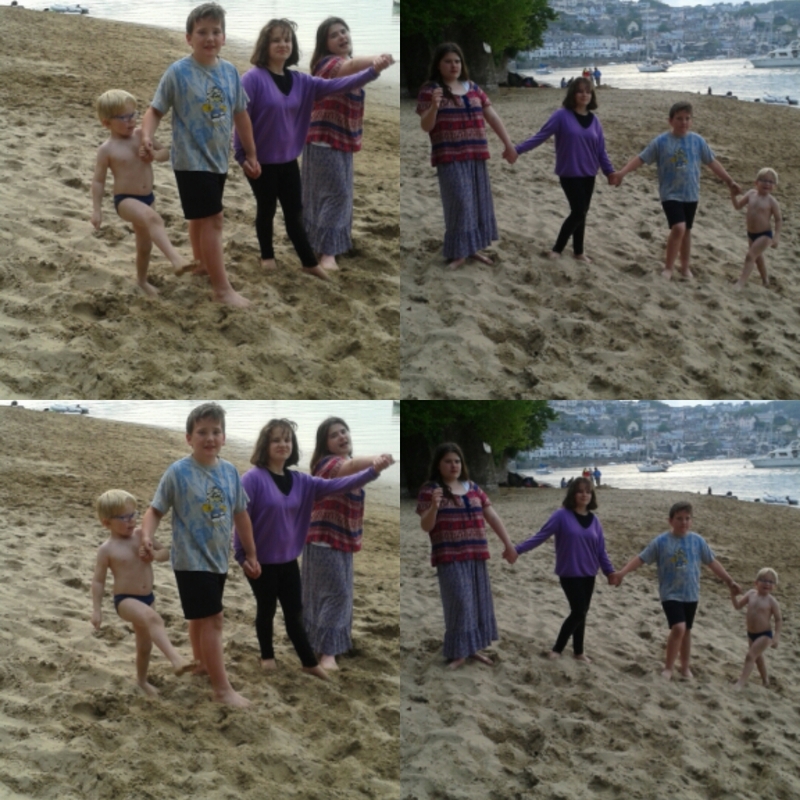 Its mainly when the children are off of school and this half term was no exception! They are growing up so fast, I just want to enjoy every single moment and remember every moment whilst we are still all together and enjoying these times. 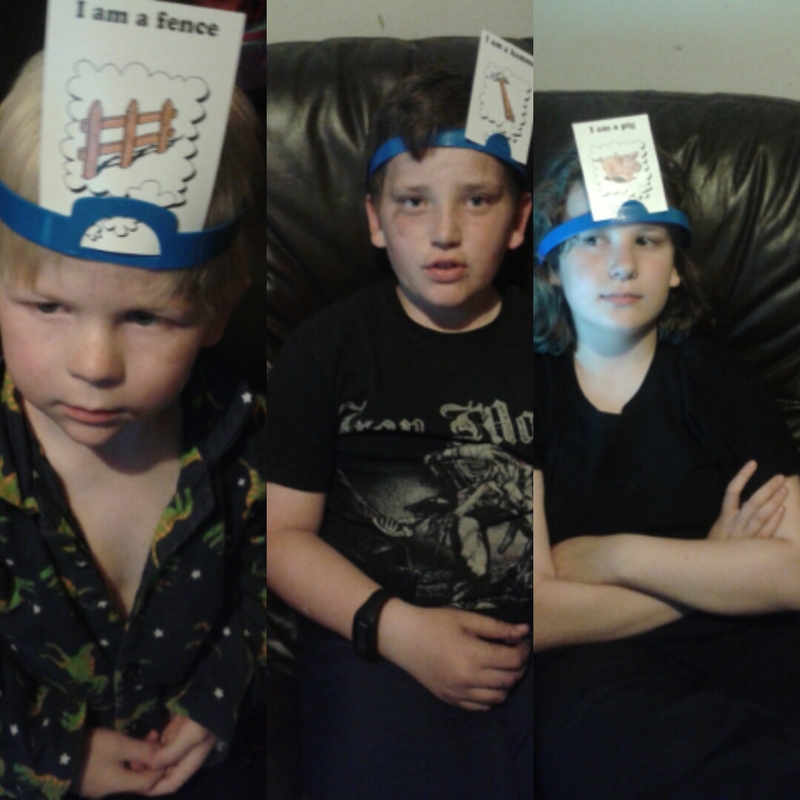 This post is really just about what we did at half term. I don’t want to forget little things that made us smile or even frown as I feel I have forgotten so much of our times together over the years! Im probably exaggerating but as the kiddies are growing up i feel I need to grasp onto everything!!! Before we started our half term we decided to make pancakes from scratch as I usually cheat and get made ones ( I know, I know! Its lazy but I really hate cooking!!) Our very first one came out looking like an off colour blob which they found hilarious! They did get much better though, and they were even edible by about the sixth one!!! The best thing was that we had loads of fun, made lots of mess and spent a great few hours laughing. This visit the kids were excited to see that there were two new sharks. I only stood underneath them long enough to take a photo which was a bit freaky in itself as the water was so dark you couldn’t see them until they appeared right over you. I still have nightmares about Jaws so I was happy to be moving along! We enjoyed being able to have our first picnic of the year for dinner as the weather was lovely and after seeing an octopus, Nemo and dory, and a huge amount of ordinary and unusual looking fish, the kiddies went to their final and favourite tank with the gorgeous turtle in it. It was more exciting as its the first time that jayden has actually seen her properly as she is usually asleep when we get there!!! and jayden also enjoyed taking all of our photos! One of the things that the children get most excited about when we go out in half term is that I take them to KFC. I feel a bit guilty that they get so excited as im sure people must think I never treat them! Its true that we really only go maybe 3 times a year but its so far away from our village we only go if we stay at my parents and catch a bus. My eldest is 16 next year and said she would like to go out for a meal for her birthday and when I asked where to, she replied…yes you can guess Im sure… KFC! As well as our trip to Plymouth, (which is also an experience for the children because it is so much busier than our village. Its really hard to even explain the difference. 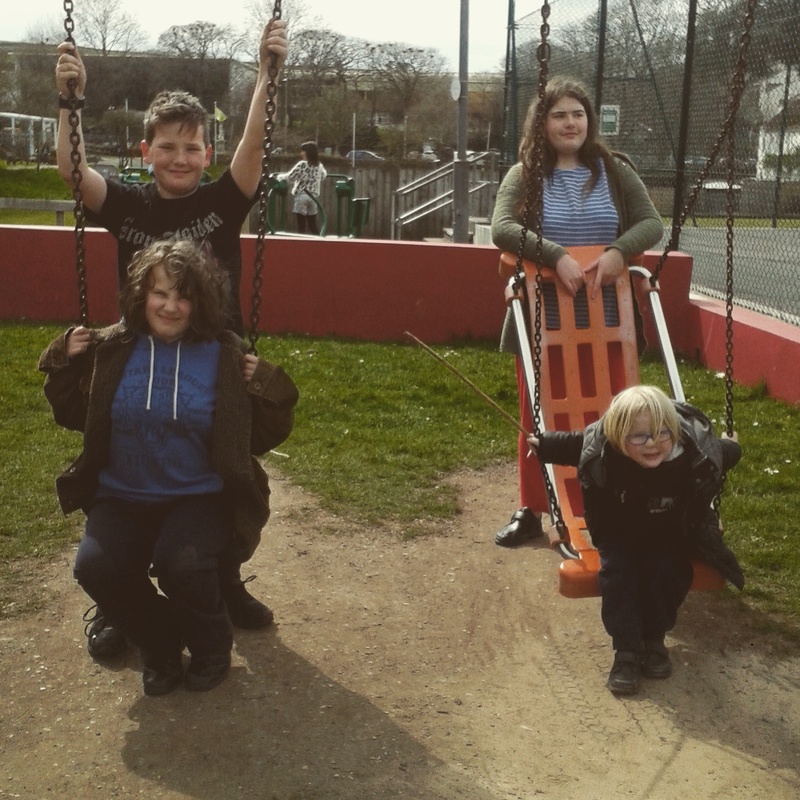 We may see one car a day where we live and a handful of people but in the city it was such a different world, ) we had fun with cousins and went to a church where they had bouncy castles for them also to enjoy. On our return back to the village we went to see a puppet show in the village hall which was a lot of fun for children and adults! In fact, I think my Mum laughed and enjoyed it the most out of everyone!!! and in a strange coincidence, one of the puppeteers used to work at my eldest daughters Special Needs school! This is by far not a great piece of writing but it was by far a great week and that’s the most important thing to me! 🙂 Counting down to Easter holidays now!